These Disposable Hand Towels Are Amazing! 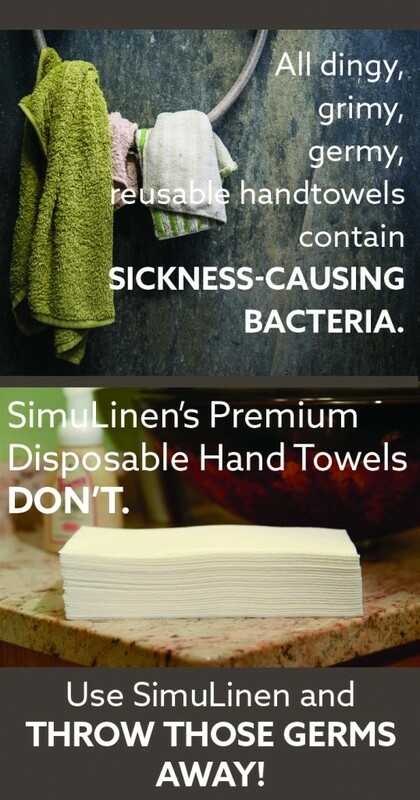 Do yourself and your guests a favor, replace the germy hand towels in your bathroom with SimuLinen’s disposable hand towels. The first huge snow storm of the year is coming and I’ve decided to have some friends over. What better way to spend a snow storm than locked inside with a bunch of friends. When having friends in my home I want everything to be clean and tidy. While cleaning and getting the house ready for the influx of friends I realized the hand towels in my bathroom weren’t fresh. Sure to the eye they may be fresh and clean, but for how long? Whether you’re having two friends or fifty friends over its inevitable that they are going to be using the powder room, and while doing so I hope they are washing their hands afterwards. Did you know that even after washing your hands when drying them with the same old cloth hand towel you could be spreading just as many germs as you would if you didn’t wash your hands? Think of all the places that hand towel could end up besides your guest’s hands. How many people wipe their faces in the hand towel, or if it’s dropped on the floor after someone uses it. Think about all the times you’ve gone to use one and it was still damp from those who used it before you. YUCK!! You may also think that the only alternative is to keep a big bulky roll of paper towels on the sink counter. We all know how that looks in the bathroom and can agree that while entertaining guests it’s not so attractive. Disposable hand towels would be perfect in the powder room. i recently started working for SimuLinen so I figured I’d give their disposable hand towels a try. I was already such a fan of their Premium Disposable Linen napkins. They are the perfect replacement for my standard cloth towels. 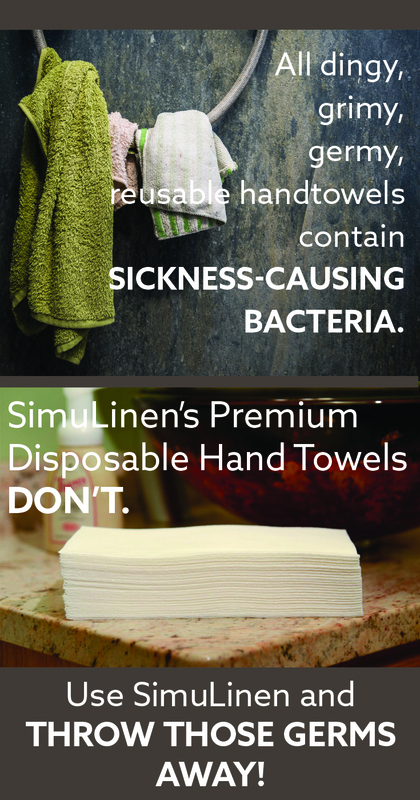 SimuLinen’s guest towels are disposable which is great for one time use. I no longer have to worry about drying my hands with a damp cloth hand towel. These guest towels are the perfect size – one will get the job done. I can’t believe how soft they are, either. Truth is they are not even like the disposable 2-ply ones I’ve seen. These are just amazing! You have to try these, you’ll love them. Alright I’m off to build a snowman and drink hot chocolate.